Want your car in the header above? TOPIC: Want your car in the header above? Quandry, what the latest with this? ie, when are you selecting and adding the pics to the header? Sorry, been a touch busy lately and it takes quite a while to do (not just a simple cut and paste jobbie). I've put in 5 that work - note that not all pics are suitable due to staging/lighting/background etc etc. Last Edit: 2010/06/28 22:17 By SWAGGER. wow...it been awhile since i got back on this site. but, i love all the new pics above. Very nice shots Frank. Obviously someone is good with a camera! Last Edit: 2010/06/29 12:14 By Punky1968. The red is holding up well Punky, was it ever repainted or do you just take really good care of the paint? thanks swagger. you're not bad yourself from what i see. you guys got some bad@$$ view over there. even the bay area look good. Frank, check out the Antrim Run thread, some nice views/pics there. We did a run all around the coast road of Northern Ireland in conjunction with www.mr2oc.co.uk. We met a load of the lads from up north who are mostly members of the oc.co.uk, but a lot of them have now signed up here too, so our community is growing and the meets are therefore getting bigger and better. Yeah Spanky did a fantastic job organising the whole thing! Cant believe that meet is so famous in the States! Thats cool, delighted to hear that. They look great yeah, seems to be a lot of pics in there now. I was thinking, maybe out of turn, so forgive me, but seeing as though as a forum, we are gathering up more and more pics and shoots and will likely be adding more and more to the headers, would it be an idea to just have all forum members cars in the header as opposed to members and also pics from the web? What do you think? That's been suggested before, however I think it makes the site more interesting to have a variety of MR2 pics in there from different clubs around the world. It is both entertaining and educational to have input from foreign MR2 owners. There are some very interesting pics in there and I think it makes for an interesting and attractive welcome for people to the site. Cheers Steve, unfortunately though that pic would not be a contender. There's nothing wrong with the picture itself per say, but rather how it can be applied as a header image there's a few problems with it. Here are some photos of my Phoenix's Power car. Taken by Rich Lee. Would you be able to send me a link to this pic in high res? that one is only 640pixels wide and it has to be minimum 1000. Basically the highest res possible is what I need. I may have a way to turn it with paint shop pro. 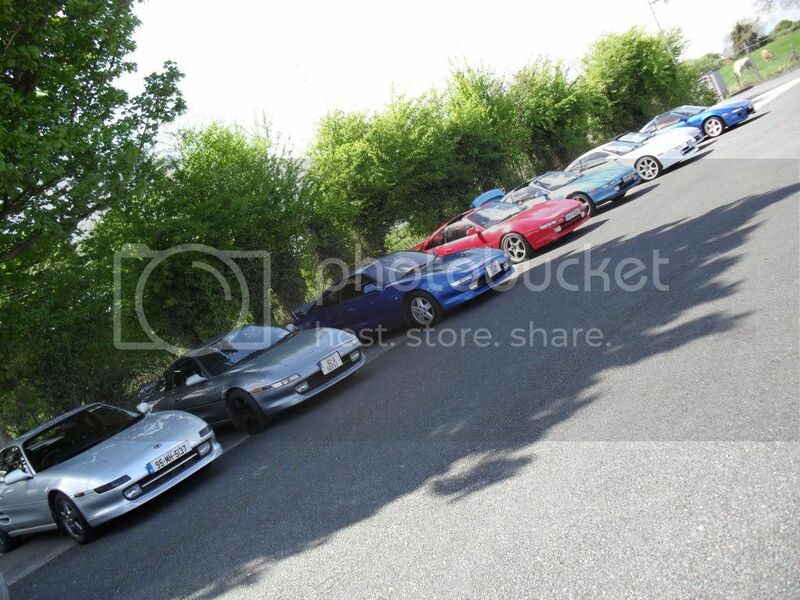 Thanks for the pics, that is a very rare and special MR2 you have there. Before we can use them however we need permission from Rich (ideally written in this thread) that say that he grants MR2 Drivers (MR2.ie) unlimited use of the pictures in part or full as we see fit. I know that seems weird seeing as it is your car, but in the eyes of the law Rich is the owner of the picture so he needs to grant license to use them. Last Edit: 2010/07/01 08:57 By Quandry. Understood completely and agree too. I have to clarify though, I said forum members cars, not just Irish peoples cars. Nothing against foreign cars being there. I just thought it would be nice if they were all members cars, but as I said, I see your point and take it on board. PS: That high res image link for you. If its too messy for the header dont worry about it, not too bothered. Last Edit: 2010/07/01 15:43 By SWAGGER.